With the single factor crucial to auditing successfully codified in Dianetics 55! and fully taught on the 9th American ACC, the subject of communication had apparently surrendered all its unknowns. Yet such was not the case. 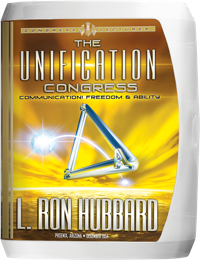 And in his first lecture to auditors on a new course at the Hubbard Professional College, L. Ron Hubbard revealed an entirely new datum: “Communication disintegrates mass, so communication and postulates can effect change.” It was no less than the discovery of the single Axiom that makes auditing possible—Axiom 51. This series contains not only the first articulation of Mr. Hubbard’s classic definition of communication as “the universal solvent,” but the whys, wherefores and techniques to apply Axiom 51 across the panorama of auditing. Here are entire lectures on Six Basic Processes, Ownership Processing, the Tone Scale and the application of communication to the service facsimile and the “only one” computation. A new chapter had begun. 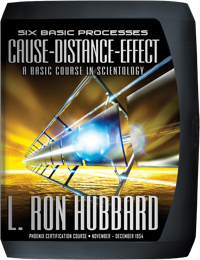 As word of mouth spread, demand for training and auditing multiplied, the HASI Phoenix moved into expanded quarters and L. Ron Hubbard laid plans to carry Scientology into the future with a new office in Washington, DC—an office that would soon become the Founding Church of Scientology. 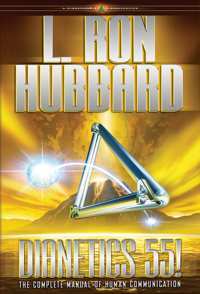 With the release of Dianetics 55! 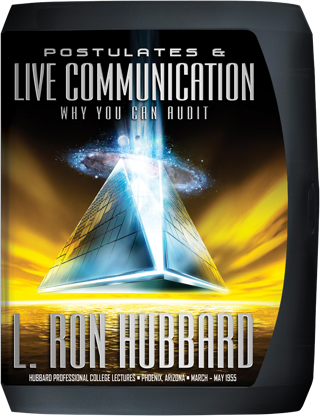 L. Ron Hubbard had codified the single factor crucial to auditing success—communication. 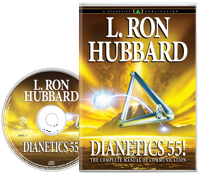 Taught in depth at the 9th American Advanced Clinical Course and publicly released at the Unification Congress in December 1954, Dianetics 55! represented a historic breakthrough. For by identifying each of the components of communication and demonstrating their application to raise a being’s ability and awareness, he had done something that the sages and philosophers of past ages had only dreamed of. “And that gives us—and I want to tell you about this—Axiom 51. Pictures—how a thetan could not possibly get into trouble in this universe until he started making pictures. With the subject of communication and its crucial role in session now fully developed and in use, auditing was truly never the same again. 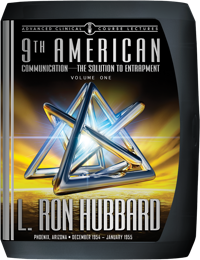 Hence, and parallel with L. Ron Hubbard’s announcement of his recent discoveries, word of mouth was leaping like wildfire across the United States. Thus, not only was the HASI Phoenix soon established in new and expanded headquarters at 1017 North 3rd Street—with Mr. Hubbard lecturing Professional Course students in its impressive auditorium—but as demand for Scientology quickened on the East Coast, he was laying plans to carry Scientology far into the future with a new office established in Washington, DC. That office would soon become the Founding Church of Scientology.